October 15, 2017 October 12, 2017 by Beau H.
A classically rugged sweater made with modern fabric — can’t ask for much more than that. The crew here at The Style Guide — by that, I mean me — is all about keeping you informed in any and all matters #menswear-related. So, when the time comes to step out in cozy, rugged fall style, I’d wager you’re going to want to throw on the Finisterre Westray Crew. Rest assured, we’re getting there … slowly but surely. And it certainly pays to be prepared when you need to layer up on a chilly fall day — the Westray Crew is going to get the job done admirably when the time comes. For one, Finisterre as a brand is rooted in function, designing the sort of easy-to-wear rugged fall gear that blends elements of classic style and modern functionality. Take, for instance, today’s See Now, Buy Now pick. The Finisterre Westray Crew calls to mind the sort of warm, tough layers you’d find out on the high seas — the cable knitting and use of Donegal tweed wool ensure that connection. 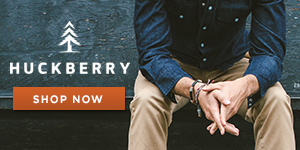 And the Finisterre Westray Crew doesn’t skimp on functionality, either. The brand’s knitting technique and use of a textured tweed yarn with lanolin results in water-repellent qualities — that makes the classically rugged Westray Crew just a bit more durable than your average sweater, to say the least. And that durability provides wearing occasions aplenty. The Finisterre Westray Crew is made for layering with a rugged denim trucker jacket, plus olive chinos and classic suede lace-up boots. In fact, that combo would work well for a weekend coffee run or a day at the office in equal measure — just add a chambray shirt in either instance. If you feel inclined to wear the Finisterre Westray Crew on its own, it can still provide comfort and warmth while standing out handsomely atop a merino long-sleeve crew shirt, slim black denim and rugged leather boots. Complete with textured stitching and a chunky ribbed hem, the handsome Westray Crew has got all the timeless details a stylish fall and winter sweater needs — that’s worthy of an investment right now, don’t you think? Let me know in the comments if the Finisterre Westray Crew will be making its way into your closet in time for cold weather. October 3, 2016 October 4, 2016 by Beau H.
Editor’s note: Click through for a full set of menswear shopping picks. In recent weeks, things have really picked up in terms of fall style preparations in my neck of the woods — if you’re into menswear, that probably means it’s been much the same for you. A late September weekend in New York City really brought with it the first slight hints of fall, and slight seasonal changes should remind us of all of gear we need for the chillier months ahead. In the case of today’s latest Online Shopping Picks post, that means we’re talking about a valuable sweater style to keep on-hand — and wear plenty — during fall and winter. What’s that style, you ask? It’s the ever-versatile modern man’s sweater — the cardigan. Whether cut in soft cotton-cashmere or premium merino, or with a more substantial shawl collar, a stylish cardigan is a nice hybrid style that fits in seamlessly with more tailored or more casual looks. Want to go more dressed up? Throw on a slim cotton-cashmere cardigan in place of your blazer with a wool tie and crisp dress shirt. Want to stay casual? Take that same cardigan and pair it with a long-sleeve henley and a durable, essential pair of sturdy selvedge denim for your off-duty hours. The picks below come in at price points low and high, and feature style that’s minimal and tailored — as well as casual and rugged. If you haven’t bought a cardigan for fall and winter, consider this the perfect starting point. A neutral base livened up with a visually interesting Fair Isle pattern. 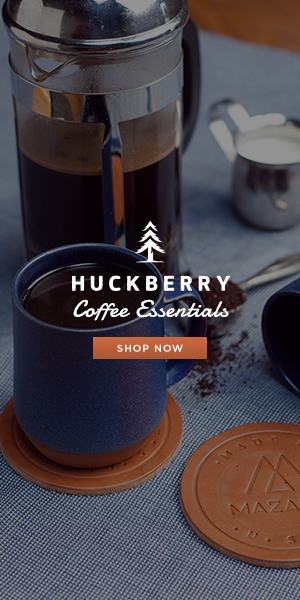 Quick, what brand makes all manner of essential goods for every season? At nice, low prices? It’s JackThreads — and this cardigan is a big-time winner in that regard. The brand keeps taking steps forward as far as its products go — pieces like this Fair Isle cardigan nod toward trends without being too over-the-top. The fabric quality and fit should be reliable and modern, and the tan base should help it play nicely off navy chinos or grey flannel trousers — yes, it’s almost flannel season! Nothing too fancy about this sweater — but with fabric this nice, it doesn’t need to overdo it. Like JackThreads, J. Crew consistently comes up with fresh takes on wardrobe staples no matter the season. Although some of those creations can lean quite expensive, this cotton-cashmere cardigan is the definition of an everyday sweater at a low price. If you keep a weather eye out for sales and deals, you could snag it even cheaper. As it stands now though, a slim burgundy cardigan from a reputable brand is something every guy can put to good use. Team up this cardigan with a blue Oxford, slim tan chinos and high-top sneakers for a bit of sporty, retro style. A cotton cardigan can still work in the fall — just pair with a slim henley and cold-weather accessories. Have you had your fill yet of navy sweaters? Hope not. Grayers’ fabric quality is top-notch (which explains the Grayers x SeaVees sneaker collab), and that’s the case with this easygoing navy heather cardigan. With details like a chest pocket and dual hip pockets, plus that heathered fabric, it’s going to wear easily over a slub pocket T-shirt with olive chinos and a pair of durable moc toe boots — like the ones seen in this #OOTD. It’s the perfect cardigan for weekend coffee runs — and you’ll be the sharpest guy in the place. If you’re not a Todd Snyder fan, get on board — this cardigan is but one example of his excellent work. It’s tough not to be a huge fan of what Mr. Snyder has done for casual, rugged menswear — right? The designer’s collaborations — from the Timex x Todd Snyder partnership to his work on P.F. Flyers sneakers — merge menswear’s past with modern fits, a dash of Americana and all-around terrific style. So, it should come as no surprise that his knitwear knocks it out of the park. A midweight jersey fabric is complemented by a faded indigo wash — that combo means it’ll stand out stylishly even up against dark blue denim. And while you could style it with an essential chambray shirt and tan chinos, it’s going to be at its best with a vintage team T-shirt during your next football game. A strong silhouette, neutral color and luxury fabric make this cardigan worth the investment. Did you think we’d make it out of this post without at least one eye-popping splurge? Not a chance. Some of us aren’t necessarily into brands that skew more heavily toward minimal high fashion — Rag & Bone is one such brand, yet they always temper that approach with military styling, classic colors and beautiful fabrics. This navy knit shawl cardigan has a lot going on visually — the shawl collar, front hip patch pockets and textured fabric — but it’s done so in a pleasing way (with a strong silhouette to boot). When teamed with a red plaid shirt, you’re getting a look that’s heritage-inspired and fall-appropriate without going too far overboard. With any of the above cardigans, you’re checking some key fall #menswear criteria — 1) Warmth and solid layering potential. 2) Visual interest — in the form of a shawl collar or a slim dress cardigan. 3) Plenty of styling versatility — crucial when you want to switch things up from a stylish fall or winter blazer. And while some of the above price points stray upward a bit, it’s worth it to make an investment now — especially when you can wear a nice cardigan all through winter (even the Grayers cotton cardigan can be layered under a winter topcoat when snow hits). If you suspect you might get funny looks or comparisons to everyone’s favorite neighbor, rest assured that the cardigan is a modern style move — take the plunge, y’all! 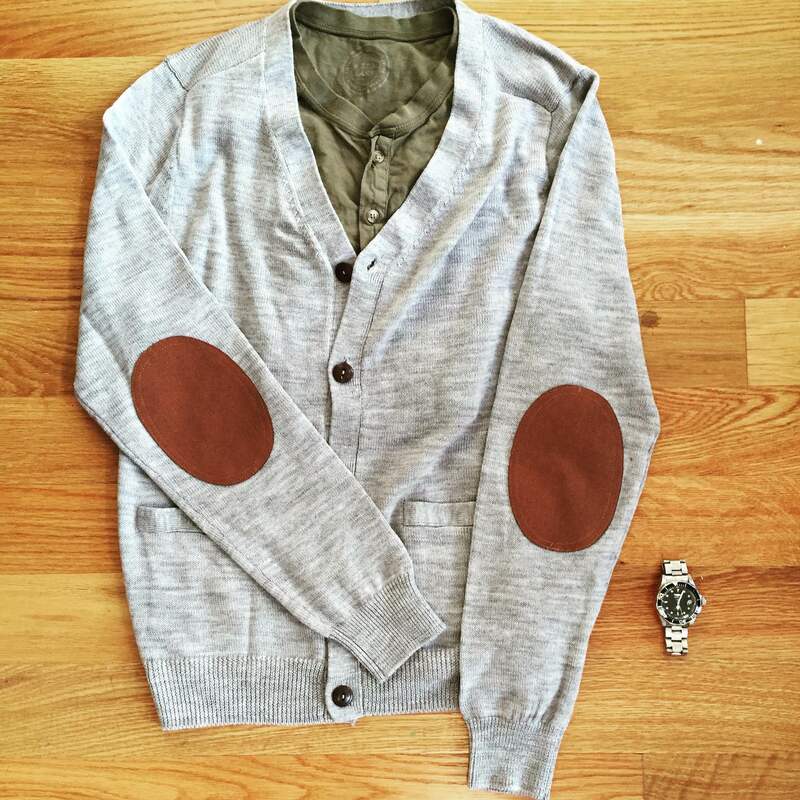 If you have suggestions for other stylish men’s cardigans, check out The Style Guide on Facebook. March 23, 2016 March 23, 2016 by Beau H.
Editor’s note: To catch up with other Online Shopping Picks fit for each and every season, head this way. Is it just me, or does this seem familiar? Well, we were here on Monday talking about the best men’s outerwear for spring. And now, we’re back with another Online Shopping Picks entry — yet, this isn’t déjà vu. Rather, today we’re tackling another somewhat overlooked but quite crucial facet of spring style — transitional layering outside of spring jackets. So for all those in-between times when it’s not breezy enough for a coat, but you’d feel more comfortable with another top layer. It’s a tricky time of year, yes? And there’s another crucial distinction to make here — while it’s great to wear something like a thick shawl-collar cardigan during the depths of winter, such a sweater is just too overpowering for the spring. We’re lightening things up, mixing in some trends and looking at a plethora of price points in the picks below — stay a while, won’t you? In the meantime, if you’d like to see anything on The Style Guide in particular, hit me up on Twitter. Definitely a change of pace compared to a standard crewneck — but perfect for spring. Maybe it’s just me, but yours truly feels that if you’re going to rock a sweater in the spring, it doesn’t hurt to take a bit of a style risk and go for a piece that’s distinctive… yet oddly versatile. JackThreads launched its full menswear line last fall, and the most recent crop of spring offerings nails it again in terms of price, quality and unique styling potential. The Reverse Sweatshirt uses on-trend colorblocking and some unique details, to be sure — but it actually leans more middle-of-the-road thanks to the neutral color palette. It’s not terribly expensive, and it would be a great change of pace when worn with lightwash jeans or tan chinos and white sneakers on weekend outings. We’re talking a very manageable price and a neutral, wearable color. A switch from heather grey to a lighter blue that should pair quite well with dark denim or khaki shorts. First things right off the bat — is this a henley, or is it a sweater? Both? For being a linen knit, the photos certainly make it look a bit thicker in terms of fabric. It’s certainly a higher price point, but the quality should definitely be there given Bonobos’ history of solidly constructed knitwear. The Cloudy Blue color strikes a different vibe than light grey or even a darker navy, so it would be a unique pick to pair with chinos and desert boots (know that for now though, it’s only available in the brand’s Slim fit). It could certainly be rocked on its own, but it could also complement a white Oxford for a spring-ready layered look. The textured cotton and chest pocket are nice visual touches. For seasonal staples that pack in quality very similar to J. Crew, there’s just one place to turn — the big brand’s smaller offshoot. Crafted from textured cotton that looks soft and with some nix texture, this cotton crewneck sweater could definitely be a spring go-to, especially in that shade of khaki. It would work as a solid top layer with navy chinos and a blue Oxford for the work day, and it could also be thrown on over a simple white tee with linen shorts similar in styling to one of the outfits here for when you head out to a campfire or a rooftop barbeque. Toss in some white sneakers and you’re practically ready for evening after evening of fun. From the maker of the Bond Peacoat — a seasonal sweater that’s splurge-worthy. It wouldn’t be an Online Shopping Picks entry if we didn’t highlight a splurge-worthy entry from one of this site’s favorite American menswear designers. Billy Reid takes Southern sensibilities and mixes ’em with a dash of heritage style for seasonal offerings like this crewneck sweater, which gets a lot right. The raglan sleeves are cut to make your chest and shoulders look broader without the added bulk of, say, a winter sweater. The cotton-polyester blend should be lightweight and breathable, and the cream contrast cuffs are a nice-looking design touch. This just might be the dressiest sweater of the bunch based on sheer quality alone (although feasibly any of these pieces could be worn over an Oxford, for example). So what’s your take on the spring sweater? Worth the hassle (and style points), or no? Keeping the principles of solid fit, versatile color and a price within your reach are all key when hitting the market. If you play your cards right, the above pieces could even be layered under a tough denim jacket in the fall — that’s definitely two-season style from one sweater (maybe even three if you toss on a great winter peacoat). Don’t forget about other spring style essentials to go along with this guy — to that end, we’ll have features on excellent spring sneakers and jeans coming up in the next couple weeks. Stay tuned! October 3, 2015 October 3, 2015 by Beau H.
The ideal type of sweater to get you through fall, with some on-trend elbow patches, to boot. Short-sleeve henley by Pistol Lake. Stainless steel dive watch by Invicta. Just as we talked about in this very space during last week’s Style Pick, fall weather is quickly approaching for a lot of us. And that brings up my favorite time of the year — when you really get the chance to start layering up. Before it gets excruciatingly cold though, there’s some transition time, calling for pieces that are breathable and comfortable, but just a bit warmer than that unconstructed blazer you might have worn throughout the summer and into September. For me, that means reaching for a nice, lighter-weight cardigan. There’s plenty of time for chunky knit shawl cardigans, but it’s always nice to be able to put on a comfortable, well-made and feather-light (well, almost) option in the meantime. Thus, enter this week’s Style Pick of the Week. JACHS NY is a hyper-local brand that’s still grabbed the eyeballs of some prominent menswear Instagrammers (like my digital pal Everyday Drew), and they stock a nice product assortment at the brand’s well-curated flagship store. Case in point — one of the brand’s F15 arrivals, the Light Grey Merino Wool Cardigan. For the record, it is a bit much at $129 for what some might view as a simple sweater. But as with most Style Picks here, these are aspirational items worth considering. And this one’s got a rad touch — some old-school elbow patches. Read on to find out why that earns it major style points (and note that it also comes in a darker Charcoal color). And yes, it’s wool, and it might not be too cold for that yet, right? Wrong. Before you associate wool with some scratchy, heavy monstrosity, know that this cardigan (which the brand sent me for a variety of fall features) is nothing like that. It’s soft, it’s got a relatively trim and modern fit — that’s key when avoiding the negative style association some people have with cardigans. The trim fit and soft fabric ensure that it wears more like a thermal henley or overshirt than a thick cardigan (you can check out more product details on GearHungry, in fact). The softer fabric has made it comfortable to wear on its own over a henley in a slight fall breeze. And now, onto perhaps the top styling point — those elbow patches! They’re a soft suede, and they’re a pretty neat stylistic feature (in my opinion) that harkens back to real rustic, outdoors-y style — even if you only work in a cubicle. They make the cardigan a little less dressy, yet this is still one sweater you can throw on with slim khaki chinos, a blue Oxford and brown wingtip boots for office wear. Conversely, it’s done just fine over a simple white T-shirt for relaxing around my apartment. It’s the type of cardigan made for fall & into winter with some proper outerwear thrown on over it — best of all, those elbow patches assuredly make it the type of sweater you can put on to go grab some coffee and crunch some leaves in the park, weekend after weekend. Have you bought from JACHS NY? Are you on-board with cardigans, or elbow-patch cardigans, for that matter?